Deputy Communications Minister, George Andah is reported to have been involved in car crash Saturday. Reports say Mr. Andah’s vehicle collided head-on with another vehicle in the Awutu Senya West Constituency where he represents in Parliament. 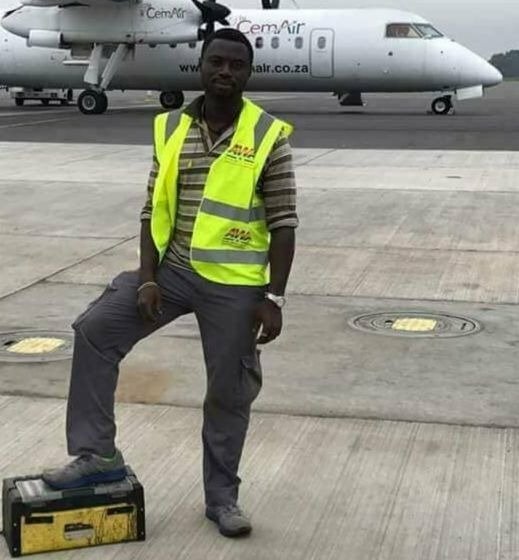 Myjoyonline.com understands Mr. Andah, who together with three others, sustained serious injury, have been airlifted to the 37 Military Hospital in Accra for emergency care. 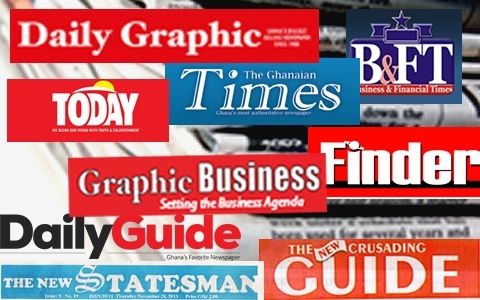 Today's Front pages of Ghanaian Newspapers. 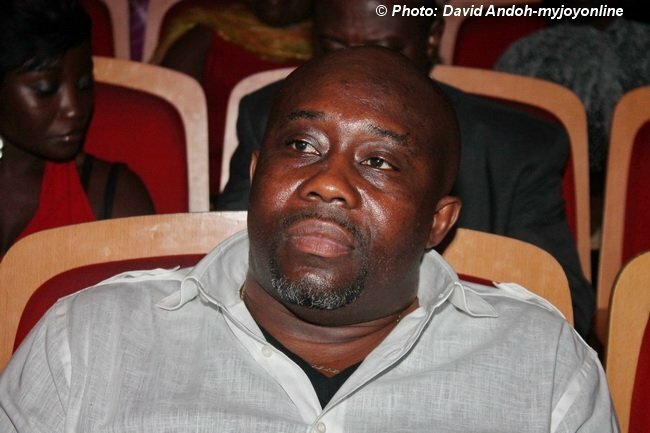 Prince Kwabena Kumi, was on his way to surprise his mother during the Easter holidays. 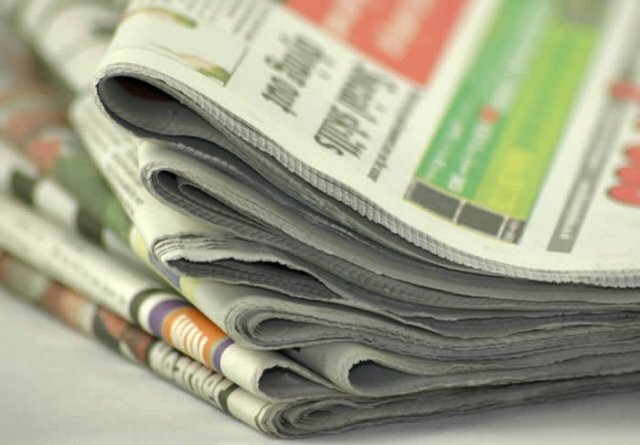 A teenager sitting for ongoing West Africa Senior Secondary School Certificate Examination (WASSSCE), has been arrested together with four others on suspicion of murdering an aeronautic engineer, at Akroso near Oda. The suspects are Samson Anim, driver of the Hyundai bus the victim boarded before he died, Ebenezer Asante, Samuel Peprah, Frank Konadu and Emmanuel Okyere, the 18-year-old who is writing the WASSSCE. Okyere has, however, been granted police inquiry bail on "compassionate grounds" to enable him to continue with the examinations. 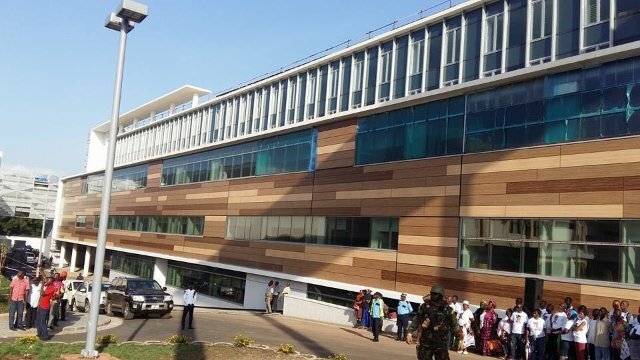 Parliament has approved $50 million for the completion of the remaining works at the University of Ghana Medical Centre (UGMC). According to the Minister of Health, Mr Kwaku Agyemang-Manu, although the centre looked complete from the outside, there was much more work to be done to make it fully functional. 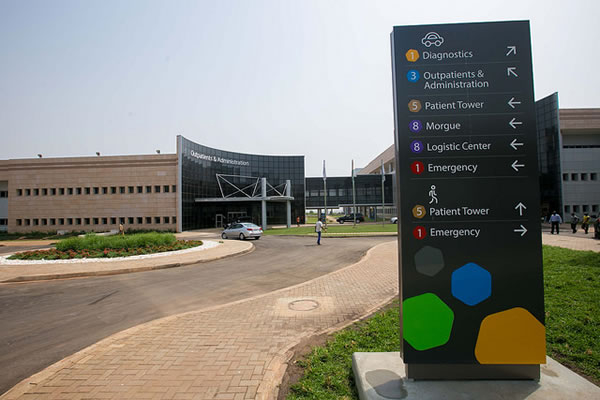 Addressing a news conference to commemorate this year’s World Health Day in Accra on Wednesday, he cited, as an example, the absence of a back-up generating set as a major obstacle to the opening of the facility. Dr Thomas Awuni Naba told Joy News’ Hannah Odame Thursday, the Minister has no right to dismiss him. Prestea (W/R), April 25, GNA - A delegation from Ivory Coast would today hold diplomatic talks with Ghanaian officials over effects of illegal mining in Ghana having rippling effects in that country. Mr Benito Owusu-Bio, a Deputy Minister of Lands and Natural Resources, told the media in Preatea in the Western Region during the tour of some mining sites. 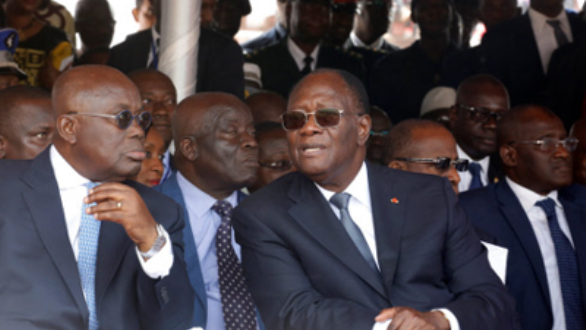 Ghana's President Akufo-Addo, and Ivory Coast's President, Alassane Ouattara. Ivory Coast’s semi-public water distribution company, SODECI, recently shut down its water treatment plant in the area because of the level of pollution in the Bia River. There has been intense pressure on government to end the illegal practice, and save water bodies and the environment from further destruction. Currently, some water treatment plants in Ghana have been shut down due to the activities of illegal miners, which have rendered water bodies from which the plants harvest water for processing useless. Ghana’s capital Accra was hit by at least four suicide deaths last week alone prompting the creation of a helpline to counsel those who need help. 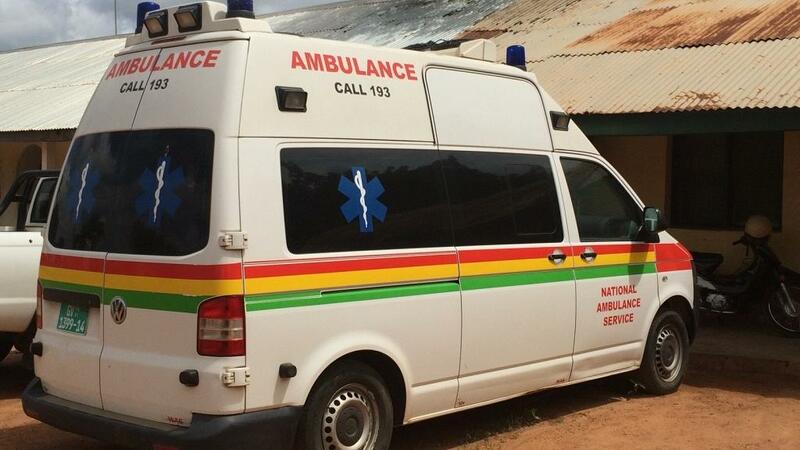 Ghana’s Mental Health Authority disclosed that in four days after the helpline’s creation, 30 people have called to seek help. “Some of them call in and they tell you they need help and the line drops, so we make the efforts to get back to know those who genuinely need help and we help them,” Kweku Brobbey, spokesperson of the Mental Health Authority told local media Joy News. 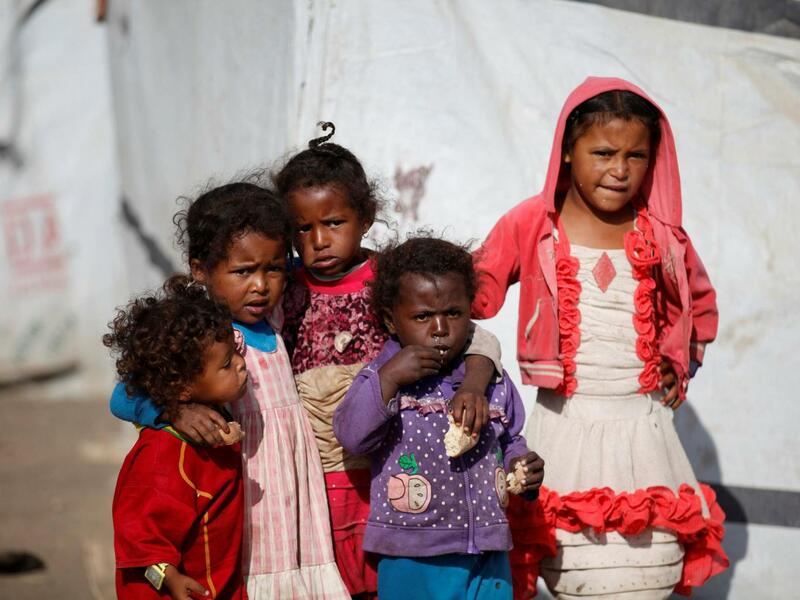 The world faces the largest humanitarian crisis since the UN was founded in 1945, with more than 20 million people in four countries facing starvation and famine, the UN humanitarian chief has said. Stephen O'Brien told the UN Security Council that "without collective and coordinated global efforts, people will simply starve to death" and "many more will suffer and die from disease." He urged an immediate injection of funds for Yemen, South Sudan, Somalia and northeast Nigeria plus safe and unimpeded access for humanitarian aid "to avert a catastrophe."